Hispañola, A tropical experience catering to your senses! Home » Featured » Hispañola, A tropical experience catering to your senses! We at Gypset believe in the restorative benefits of music, whether the lyrics, or tune, or combination of both, the benefits of music is astonishing. Gypset showcases artists living the Gypsetter lifestyle, new and old, and up-and-coming talent. We share their stories, talents and music out there for the entire world to hear. 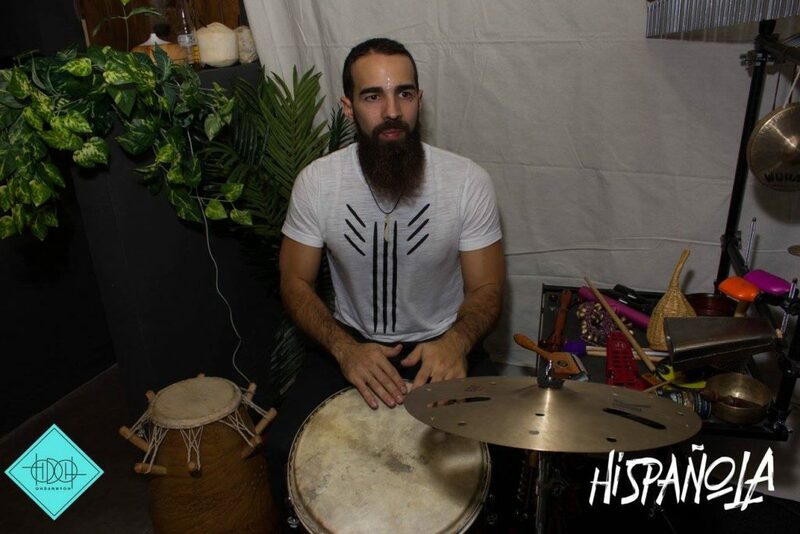 On March 4th and in collaboration with HomeMade, Gypset Magazine had the pleasure of introducing our latest Musical Series, Hispañola at a brand new venue, A Simple Bar. 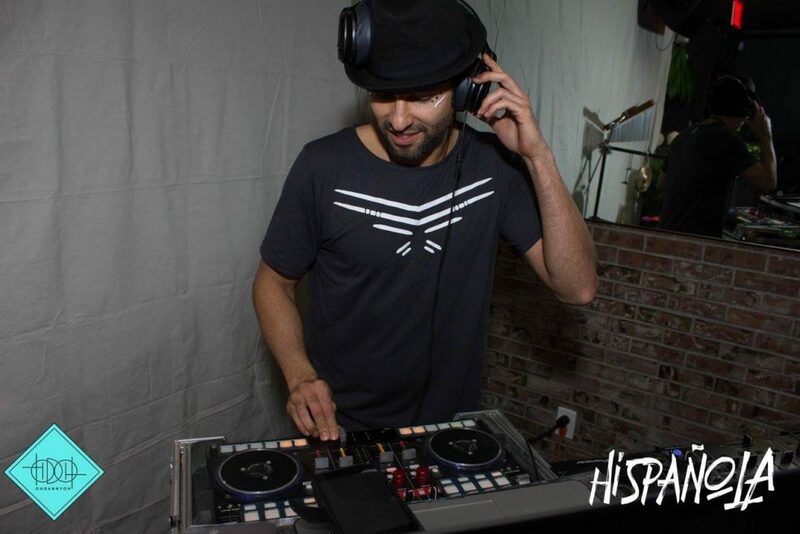 Hispañola is a new way of SoundVenture (sound and adventure) where deep vibes meet Hispanic roots inducing the body to dance unconsciously to the rhythms, evolving the eclectic side of house music with the sazón we, Latinos, grew up with. Welcome to La Tribu … A tropical experience catering to your senses, from the smell of fresh Lemongrass as you entered, welcomed by an embellished rhinestone on the face to embrace your spiritual ascension into the Hispañola dimension, delighting the taste buds with a delicious assortment of tropical fruits and complimentary Sandía ‘Ncendía (vodka-infused watermelon) to the exquisite tropical décor of the place. In addition to the various specialty drinks created for the night, Monkey Co-Co (whisky infused coconut water, served in a coconut), Sol Rojo (vodka infused with fresh squeezed grapefruit juice) and Pear Bliss (pear cider). A heightened sense of awareness via visual effects, soothing music, and an amazing vibration. 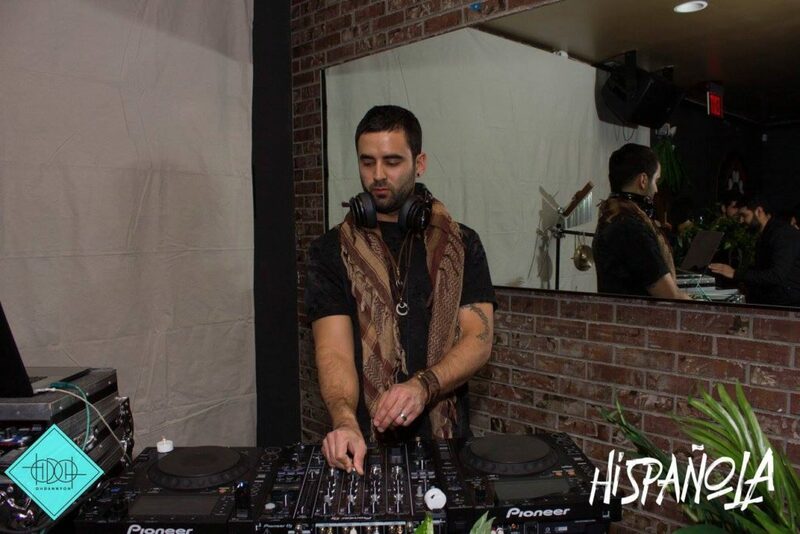 SEB kicked off the night with a provocative mystic mix of electro-tropical vibes followed by DSENIC with his euphoric, deep, and energetic set inducing the audience to move to the tropical beats. Followed by martiNEAU who turned up the heat in a set infused with live percussion by the talented, Etienne Rivera, taking us on a journey of frisky ambiance where deep vibes fused with Latin beats, closing the night with a set that left the musical souls on the dance floor wanting for more. The energy was lively, the music pulsated with vibrant rhythms, and the beautiful crowd danced the night away to the music. 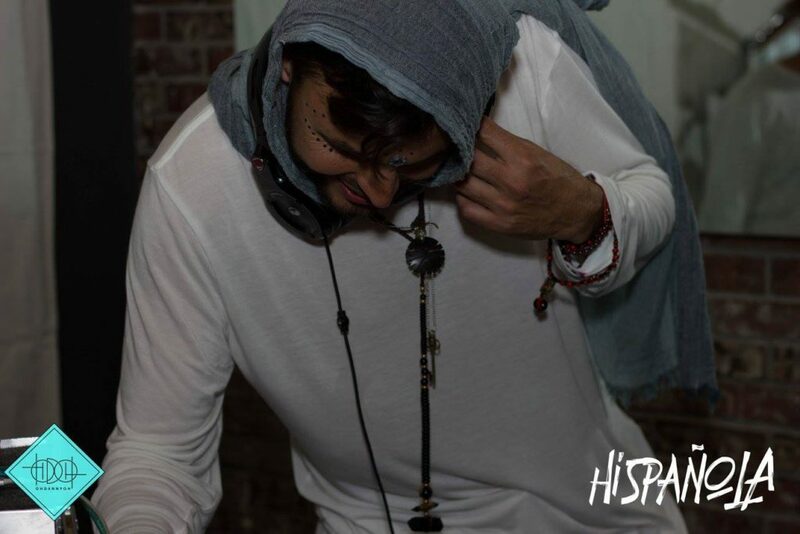 Everyone vibed on the same Hispañola frequency with an open heart, mind and spirit in a Gypsetter, free-spirit, wild-heart musical environment. It was a double celebration as we kicked of Hispañola, a showcase of a brand new and intimate spot “A Simple Bar” where Making the simple complicated is Commonplace and Making the complicated simple is Creativity. A Simple Bar at 3256 Cahuenga Blvd, Los Angeles CA 90068. HISPAÑOLA concept involves featuring talented musicians to jam and improvise during the musical journey offered by the music curators. We are music lovers, our job is to expose the astonishing talent that is everywhere. 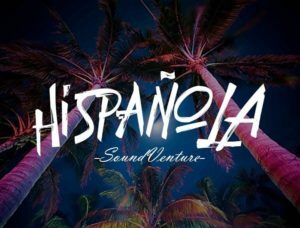 Hispañola SoundVenture is a place to relax, rejoice and re-calibrate, enter our new dimension, let’s laugh, let’s dance, and let’s come together, let your inner Gypsetter out. Stay tuned for the next Hispañola!! !